All ages and all abilities are invited to run, walk or roll in the Youth Challenge Superhero Dash at Lakewood Park on Sept. 22. 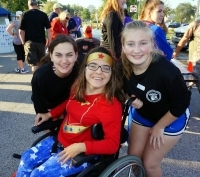 Hundreds of runners, walkers, and rollers (participants in wheelchairs) will be dressing as their favorite superheroes and helping raise money for young people with physical disabilities at the Youth Challenge Superhero Dash. The 33rd Annual Race Day, in memory of former trustee Dave Hardman, will take place Saturday, Sept. 22, at Lakewood Park. The 5K run and the 1-mile walk/roll both start at 9:30 a.m. Awards will go to the top three men and women overall and in each age group, as well as the challenged division. Achievement ribbons will go to all 1-mile finishers. There will be fun for the whole family, including a superhero costume contest, Chinese and 50/50 raffles, and post-race refreshments! Adult runners and walkers are $25 per person for early registration, $30 on race day; children 18 and under are $10 (pre-registered and same day). The first 300 registrants will receive T-shirts, subject to availability on race day. Register online at hermescleveland.com. The Superhero Dash will raise funds for Youth Challenge, a nonprofit that provides adapted sports and recreational opportunities to young people with physical disabilities. Trained teen volunteers are paired one-on-one with participants to play sports, make friends, and have fun. 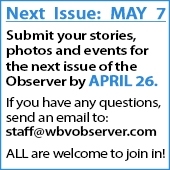 YC serves children throughout Northeast Ohio and has offices in Westlake and Shaker Heights. All programs and transportation are offered at no cost to participant families. Visit youthchallengesports.com or call 440-892-1001 for more details. is the Media Specialist for Youth Challenge in Westlake.